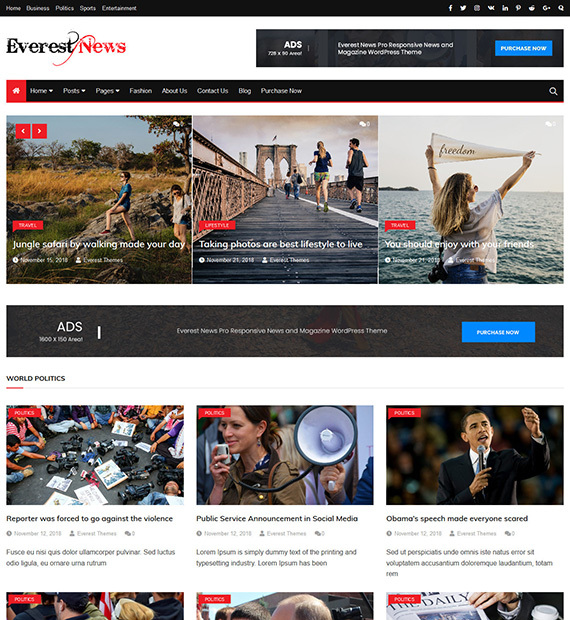 Everest News is a unique, clean, modern and fully responsible WordPress theme specially designed for News and magazine agency and individuals. All the sections of theme are controlled via customizer options and widgets, which makes customization and arrangement of site elements easier. Speed, SEO, security, comments, translation ready, etc. are some of the features of Everest News. Start writing, publishing, and advertising in minutes.